Hello everyone and thanks for visiting. 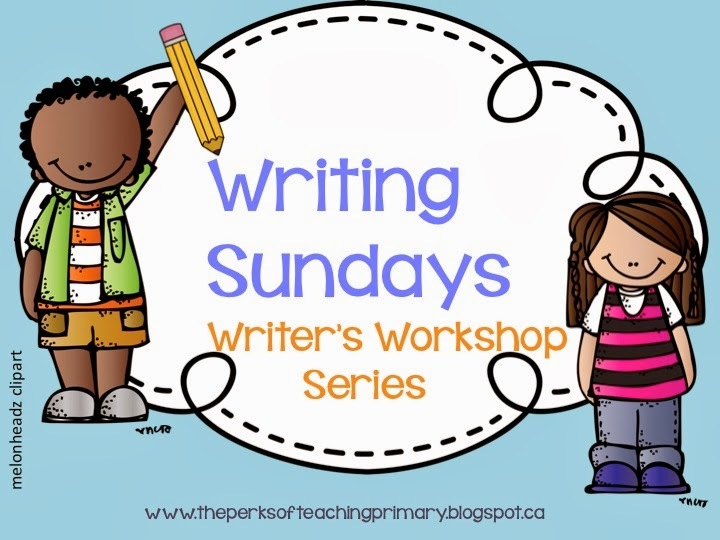 This is my 9th edition of Writing Sundays and it’s jam-packed with literacy activities. 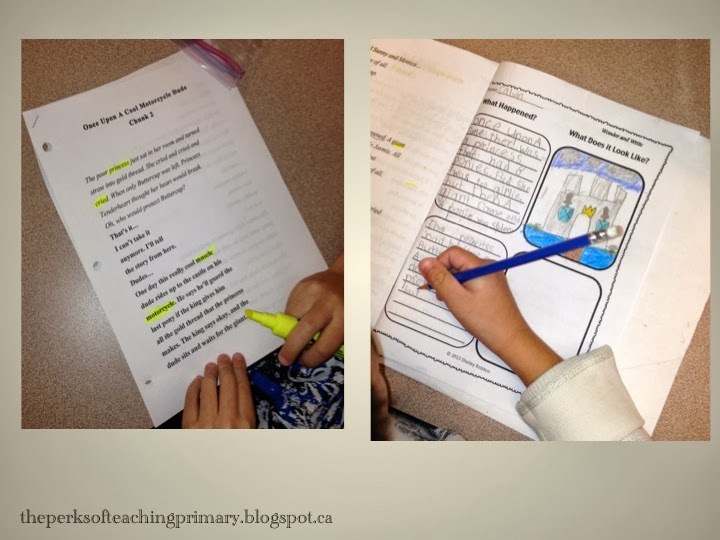 Today I will be sharing a “re-do” of an interactive writing lesson, a new interactive writing lesson and a reading and visualizing strategy that I blogged about before with a super awesome book…read on! While I was away sick for a day last week, my sub (who is awesome) taught my next Interactive Writer’s Notebook lesson. It was on Word Choice and she had left a note saying the students really didn’t grasp it the way she’d like them to. 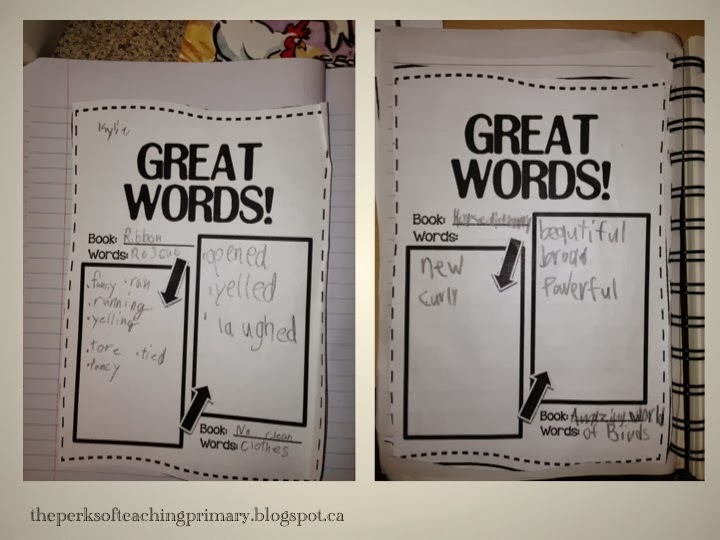 I took a look at their work and could see that they really didn’t understand what Great Words were. Mostly, great words are adjectives but verbs can also be great words if one word is used to sum up a whole range of feelings, or situations. I always think of Kevin Henkes word: wilted all the time. Chrysanthemum wilted. Wilted is such a powerful word because it encompasses so many things that were probably going on at once and it does it with one word. I think these students were well on their way but I wanted to ensure that all students were able to spot a great word. 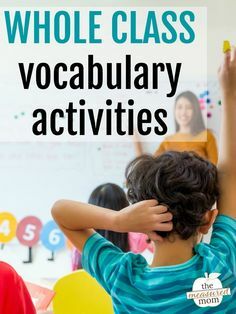 It is difficult for 2nd graders to assess the quality of their words unless they have more practice in whole class mini lessons and in partners. So, I decided that I was going to re-do the lesson and here is how I did it. 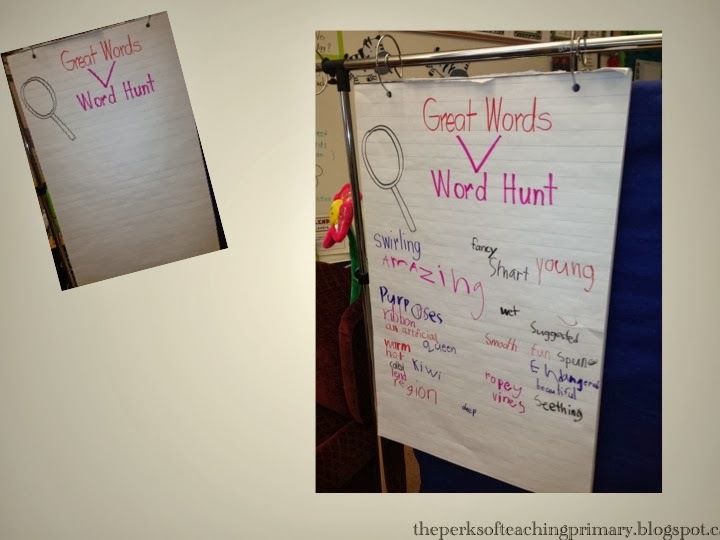 I created an anchor chart for GREAT WORDS. I talked to the students about words that have an impact like Kevin Henkes words and other authors. 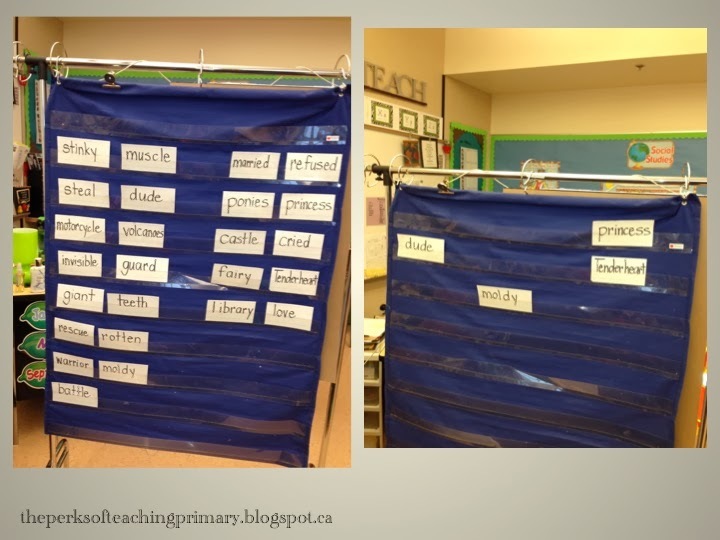 (My new author next week will be huge for word choice and sentence variety! It should bring it all home!) I grabbed random books off the shelf and read out mostly adjectives but some verbs as GREAT WORDS. I then decided that the more students were able to interact with this lesson, the more engaged they’d be. I told them they could work in partners too. 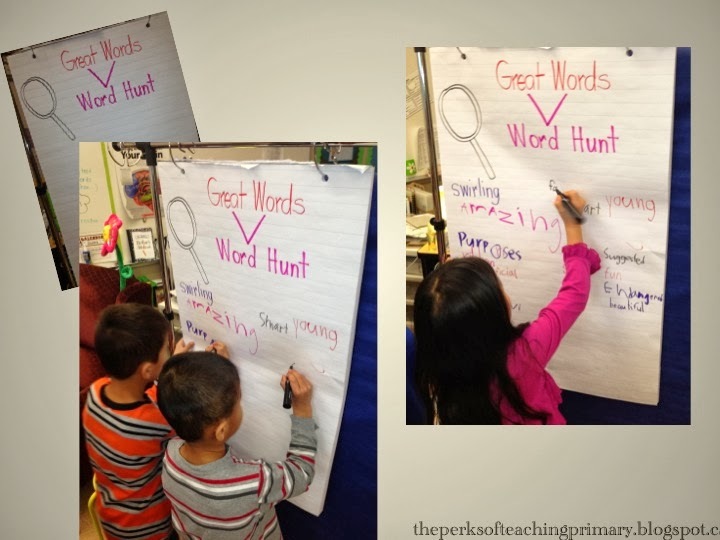 Students found books and went on a GREAT WORD HUNT. When they found one, they wrote it on the chart. Many approached me to ask me if it was great. I did explain that everyone has their own opinion about great and I would offer up a sentence verbally and insert their word and ask them if they thought if was powerful. If they were unsure, they usually thought it wasn’t and tried again. It was a very interactive process! Next week, we will evaluate what we’ve done and see if any words should be removed. Success! 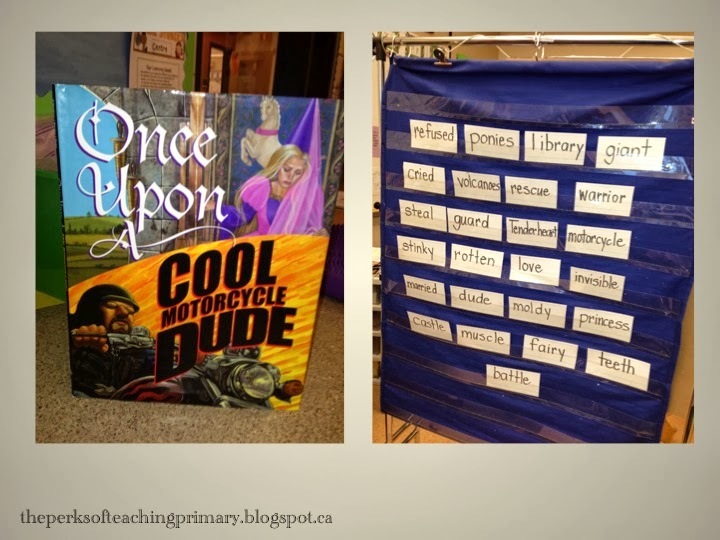 Our whole class reading book this week was “Once Upon a Cool Motorcycle Dude” by Kevin O’Malley. Seriously…have you ever seen this book?! It is amazing! It is a story about a boy and girl who have to read a fairytale for their library project but they couldn’t agree on one so they tell their own. The girl starts all “girlie” with a princess and ponies. The boy gets frustrated and continues on with his side of the story which has a cool motorcycle dude. When he says that the girl just sits around spinning thread into gold, the storyteller girl takes exception to this and begins to tell the story from a warrior princess perspective. It’s hilarious and the illustrations are amazing. 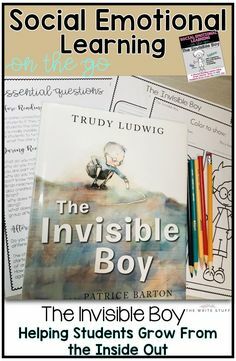 The story completely engages both boys and girls and we have a blast reading it. 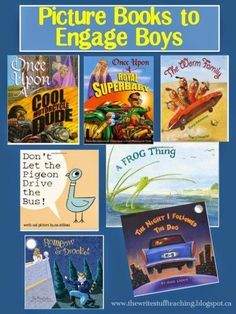 I’ve discussed my whole class reading strategies before and this one was no different with one exception. 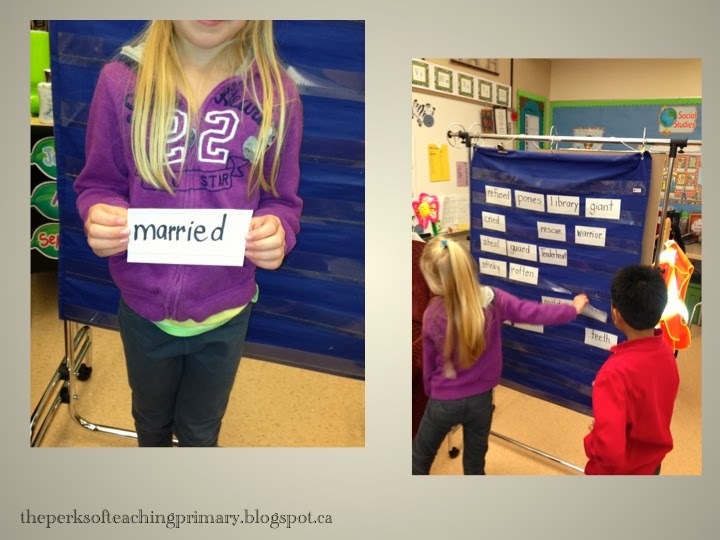 We usually sort vocabulary in pairs and discuss meanings. Because this book lends itself to a boy/girl lesson, I decided to play up on the “girlie” “boy” tone of the book. Here is a cover shot of the book and all the great words I pulled out of the book for the vocabulary lesson. I randomly handed out the words and each student with a word came up and said the word and told us what it meant. I usually then give a verbal sentence for each word to reinforce the meaning in context. Then, I asked the boys to come up and choose a word they thought was more for boys and the girls to come and choose a “girlie” word. That’s all I said. Children were watching intently. Now, I know what you are thinking but hold on! I will explain the end result… I’m always interested in the difference between learning of boys and girls so that I can plan lessons around this. (My MEd. was on writing development of boys and girls). We went through the list and I pulled one off at a time from the boys’ list then the girls’ list and ask students whether it HAD to be just a boy thing or just a girl thing. What a hilarious discussion! “Can girls be stinky?” “Can’t boys get married?” We decided that most words could be related to a boy or a girl. 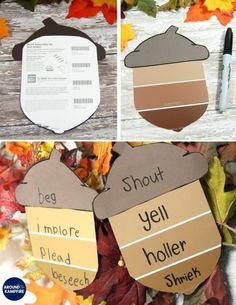 The pocket chart on the right shows the only words left. 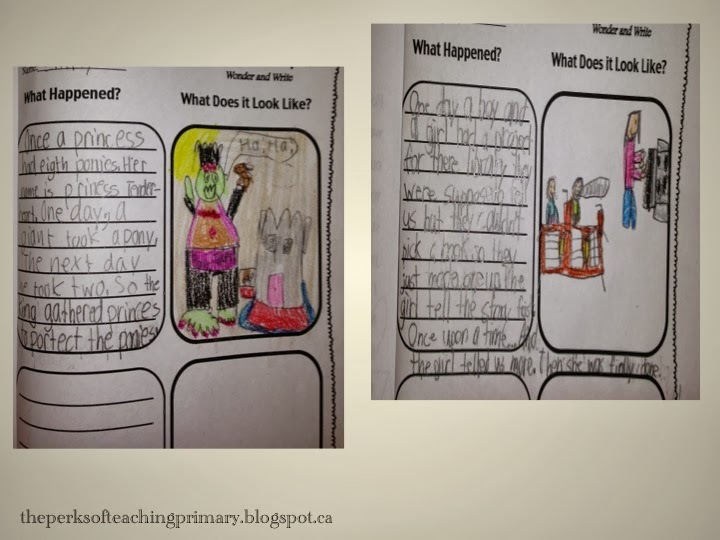 Students felt a dude could really only be a boy, princess could really only be a girl and Tenderheart because it was a name should be on the girls’ side but that boys can have tender hearts. One boy actually said the Care Bear Tenderheart is a boy…? Moldy was gender neutral. We didn’t know! One boy also quoted a movie with boy fairies. It was a very neat experience breaking down the gender stereotype but having good laughs at all of our expenses anyways. The next thing we did was highlight the vocabulary, read the text and have a walk and talk with our partners. We then worked quietly on telling the main points with supporting details. If you want to practice visualizing with your students, grab my Visualize a Story freebie! 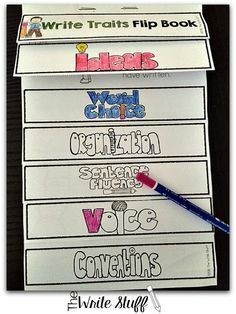 Later this past week, we moved on from our GREAT WORDS and we continued with vocabulary lessons to coincide with “word choice” in our Interactive Notebooks. Next we focussed on color words. Here we discussed all the colors on the spectrum and what things are that color. 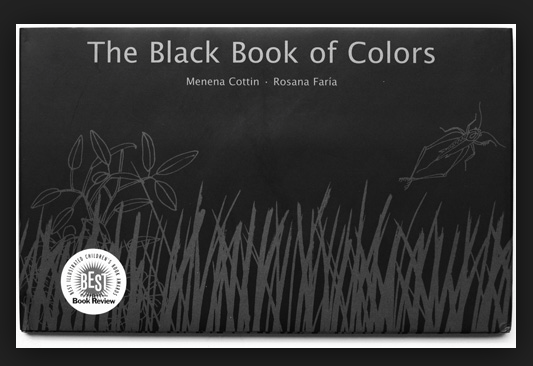 We read a book called The Black Book of Colors. It is a great book about descriptions of colours with braille and raised pictures. It’s all black. 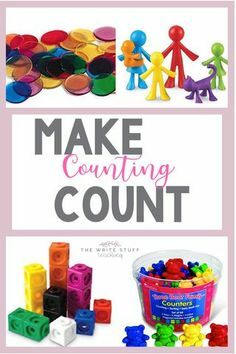 It helps kids to really think about colors and their powers in describing things. 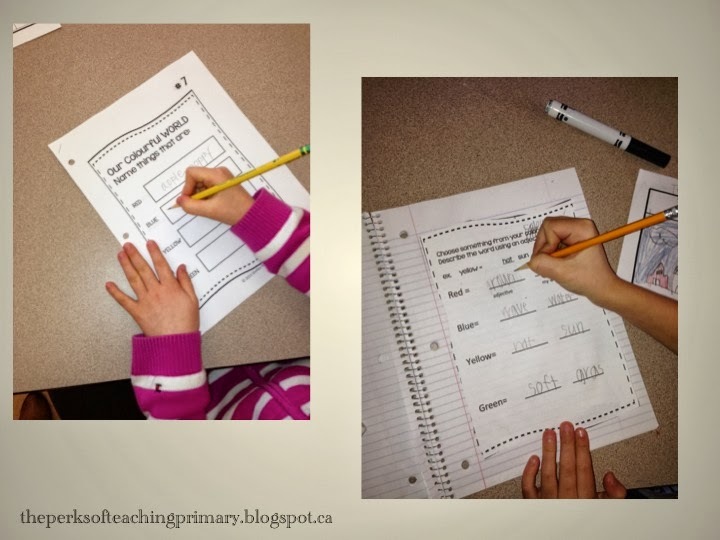 We then worked in our notebooks and came up with things that were of that color and then we practiced describing words (adjectives) for those color words. 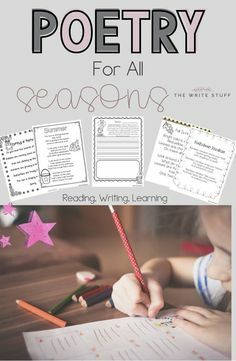 Students can refer to these lists later when writing. What a fun week! I hope you enjoyed reading about our quests for GREAT WORDS. Stay tuned next week for our new author and more fun and engaging literacy activities! Thanks so much Leslie. I hope your students have a BLAST! if you use them.